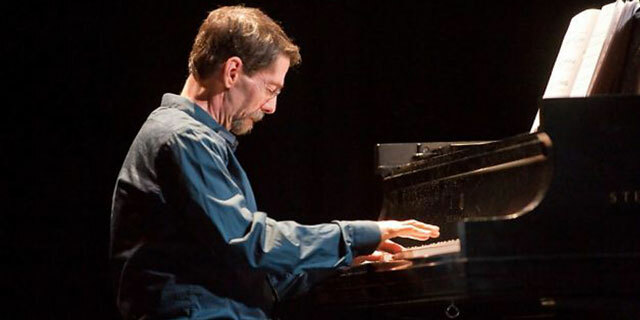 It's a busy time for pianist, educator, and, now, author Fred Hersch. 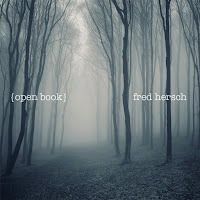 His latest solo album, "Open Book", will be released by Palmetto Records on September 8th (my review is here). On September 12, his autobiography "Good Things Happen Slowly: A Life In and Out of Jazz" will be published by Crown Archetype (Penguin Random House LLC). 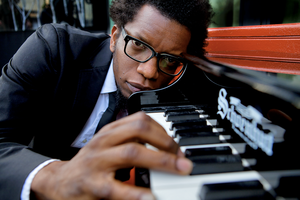 Later that week, Jazz at Lincoln Center presents the pianist/composer's "Leaves of Grass" in the Appel Room for four shows over two nights (9/15-16). 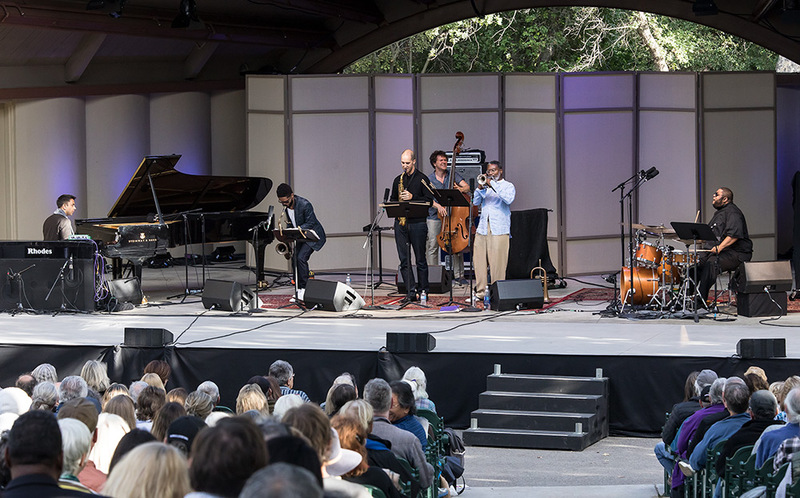 Joining Hersch for the shows will be a number of of artists who appeared on the 2005 Palmetto album of the same name including vocalists Kate McGarry and Kurt Elling plus trombonist Mike Christianson, saxophonist Tony Malaby, and drummer John Hollenbeck - rounding out the 10-person ensemble will be Bruce Williams (reeds), Nadje Noordhuis (trumpet, flugelhorn), Jody Redhage (cello), and John Hébert (bass). 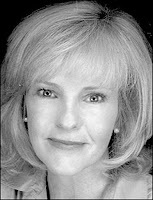 For ticket information, go to www.jazz.org/events/t-6271/Fred-Hersch-Kurt-Elling-Kate-McGarry-Leaves-of-Grass/. As for the book, I had a hard time putting it down. Hersch, and his collaborator David Hadju, basically, "tell it like was/is." The pianist, who has been candid about his homosexuality and HIV-positive status for nearly twenty-five years, talk about his upbringing, his discovery of music at an early age, his parents troubled marriage, and how hard a time he had as a teenager (lots of marijuana and playing gigs at an early age). Yet, he never feel sorry for himself, is honest about how much he hated to practice piano (especially for his classical music lessons). The best parts of the story deal with his jazz "apprenticeships" with Art Farmer and Joe Henderson, his relationship with Nonesuch Records (not an easy one), his relationship with Scott Morgan, and the illness that nearly killed him in 2008-09. If you have a squeamish stomach, you want to forego the details of the symptoms, the ensuing coma, and the long, amazing, recovery. Yet, the book, like the music Fred Hersch has created over his career, is far from depressing. He's a survivor (several times over) and admits to being a better musician and more appreciative human being. He does not spend a lot of time going in to the mechanics of his music but Is fulsome with his praise of his various rhythm sections, his doctors, his older brother Hank, and his friends. He also does not pull punches with his criticisms and is not shy writing about his drug use as he made his way through the 1970s and 80s. But this is no "show and tell" as Hersch writes about the people who helped him along the way (including Lorraine Gordon at the Village Vanguard). When you listen to his new recording or watch the video of "My Coma Dreams" or sit in a club and watch how he works with his Trio, you realize a number of things including how lucky he is to be alive in the 21st century and just how impressive a musician and creator he is. That latter observation makes us the lucky ones. 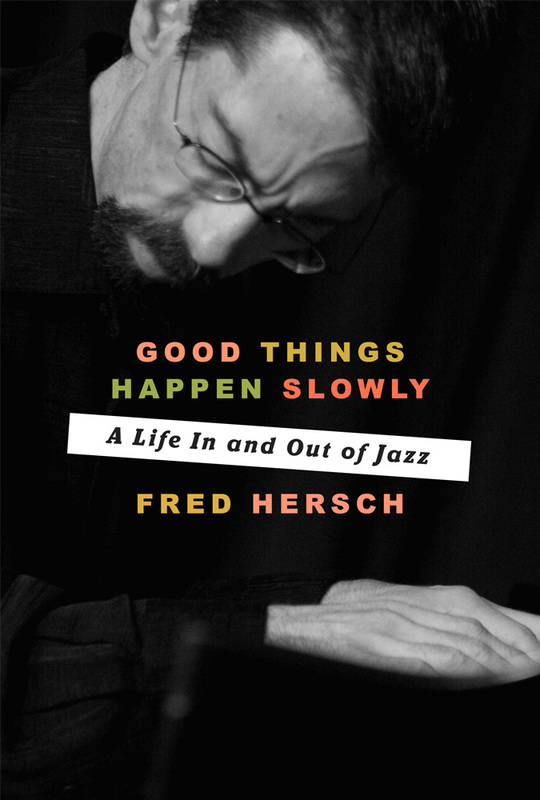 To find out more, go to www.penguinrandomhouse.com/books/253693/good-things-happen-slowly-by-fred-hersch/. 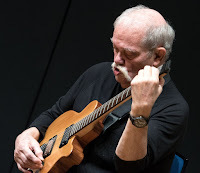 I can't remember now the first time I heard the guitar playing of John Abercrombie who passed away on Tuesday August 22. He first came on to the creative music in after a stint at Berklee College of Music, playing first with Johnny "Hammond" Smith. Abercrombie went on to work with drummers Chico Hamilton and Billy Cobham as well as saxophonist Gato Barbieri. He signed to ECM in 1975 with his first releases being "Timeless" featuring drummer Jack DeJohnette and keyboard whiz Jan Hammer. Along the way, he recorded and toured with fellow guitarist Ralph Towner, formed Gateway with DeJohnette and bassist Dave Holland. 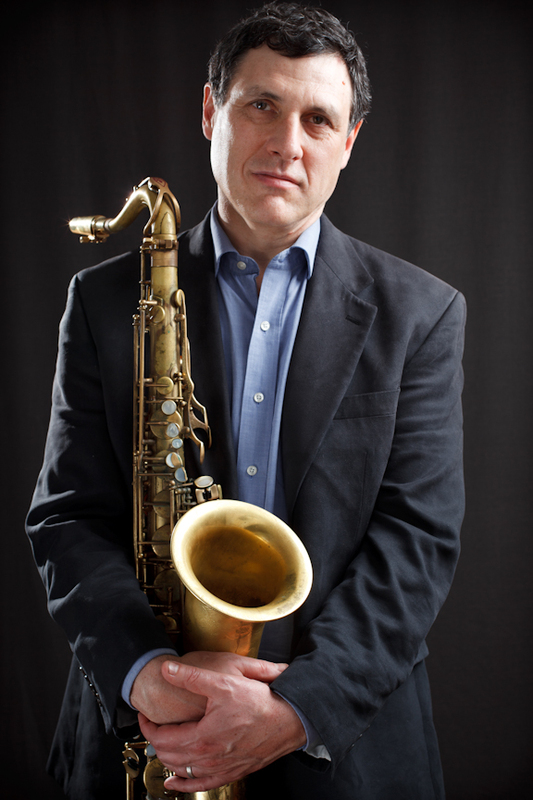 He also recorded with several different ensembles for the label including his last quartet with pianist Marc Copland, bassist Drew Gress, and drummer Joey Baron. Abercrombie also added his guitar stylings to albums by Charles Lloyd, organist Jeff Palmer, plus trumpeters Enrico Rava and Kenny Wheeler. It's amazing how few pictures there are of John Abercrombie without a guitar - because above all, he was a player. In his early days, he often experimented with the sound of his guitar but while he could still create mysterious compositions as he aged, his sound got rounder and cleaner, his phrases often surprising yet soothing as well. And, the man could "swing" as he picked one articulate phrase after another. 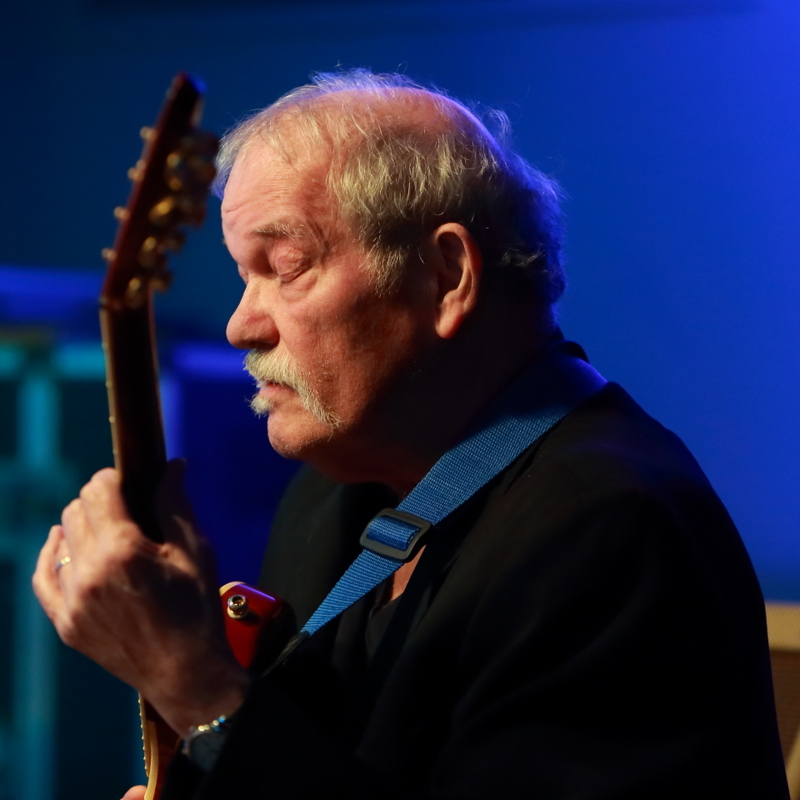 For a more thorough at John Abercrombie's life and career (along with videos and an interview, go to ottawacitizen.com/entertainment/jazzblog/rip-john-abercrombie. One of the great"classic" jazz albums of the early 1960s has to "Blues and the Abstract Truth." 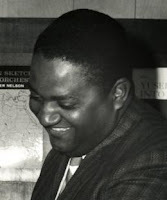 Featuring the compositions, arrangements, and tenor saxophone of Oliver Nelson (1932-1975), the music showed just how the blues permeated much of modern music anyhow it could "speak" with so many voices. By the time the album was released on Impulse Records, Nelson had built a good career with albums released on Prestige featuring artists such as trumpeter Kenny Dorham and saxophonist Eric Dolphy. That career would skyrocket over the next decade due to the numerous movie soundtracks and television shows the St. Louis, MO, native composed and scored. Yet, he also wrote classical music, much of which deserves to be rediscovered an played by symphony orchestras in the US and abroad. Kudos to trumpeter, arranger, and conductor John Vanore on his new album. 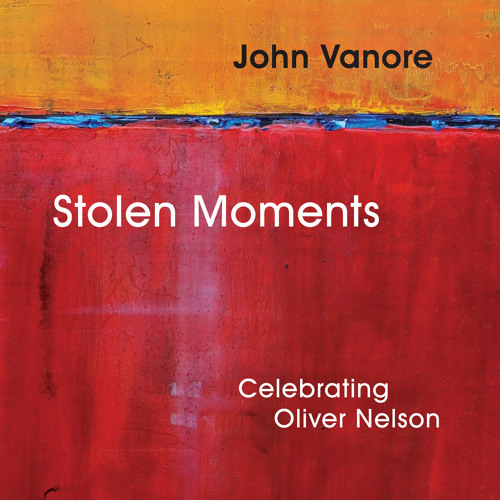 "Stolen Moments" Celebrating Oliver Nelson" (Acoustical Concepts Inc) features an all star 14-member band playing compositions and arrangements from throughout Nelson's career. Pieces such as "Greensleeves", "A Taste of Honey", and "St. Louis Blues" sit easily alongside the title track (a highlight of the "Blues and The Abstract Truth" - the song with that name did not appear on that album but on the followup), "Self Help is Needed" (from 1970's "Black, Brown, and Beautiful"), and "Reuben's Rondo" (from 1975's "Skull Session"). Perhaps the best thing Vanore, who, as a young man studied with Nelson one summer before joining the Woody Herman Band, does is not mess with the music. 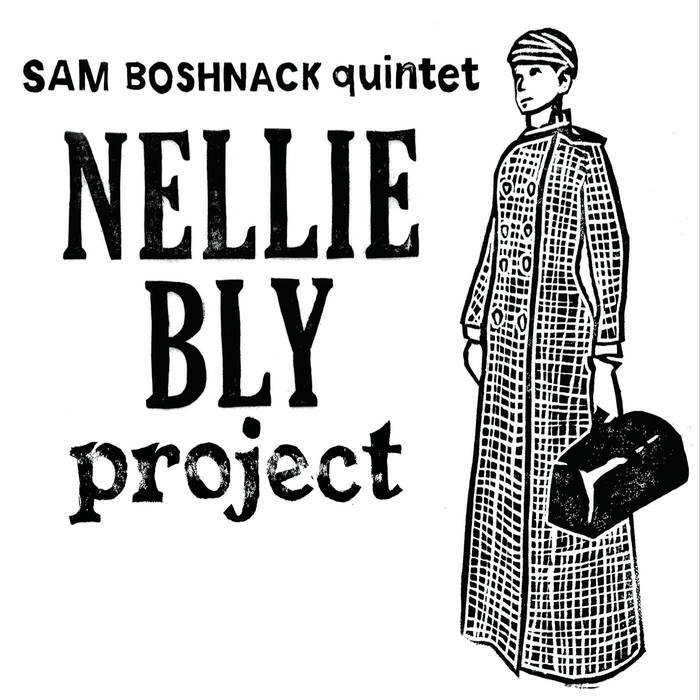 Though the album credits the leader with "reimagining" Nelson's songs, what he has done is arrange the music for this unique ensemble. What a band! There is Steve Wilson (alto sax, soprano sax, flute) and Bob Malach (tenor sax, bass clarinet) plus the trumpets and flugelhorn work of Tony Kadleck, Augie Haas Jon Owens, and Dave Ballou as well as the trombonists Ryan Keberle and Dave Taylor (bass 'bone) alongside the French horns of George Barnett and Adam Unsworth. 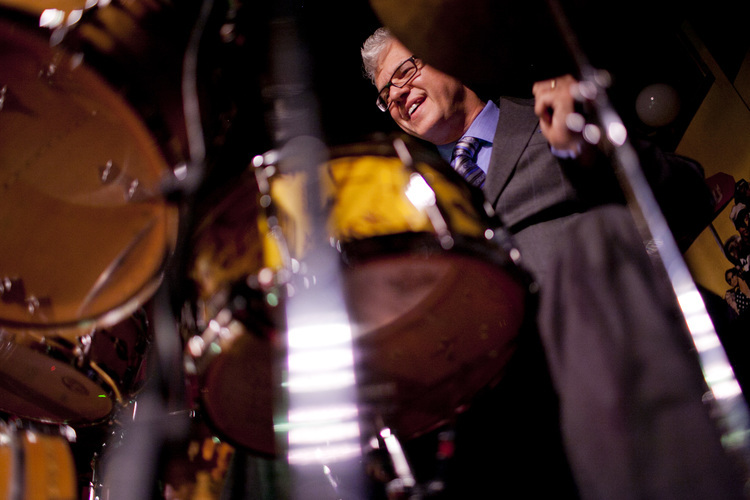 The rhythm section includes pianist Jim Ridl, guitarist Greg Kettinger, bassist Mike Richmond, and drummer Danny Gottlieb. 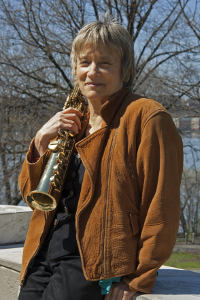 Percussionist Beth Gottlieb joins the ensemble on the slinky, sultry, "El Gato", a tune Nelson wrote for the late saxophonist Gato Barbieri. Each track has great ensemble work plus an impressive solo or more. Wilson's alto stands out on "Self Help..", "El Gato" (which also features a scorching solo from Malach) plus he creates a beautiful soprano solo on "I Hope in Time a Change Will Come." Keberle shines on "Greensleeves", a tune that packs a lot into 2:39. Ballou is understated then forceful on his long spotlight on "St Louis Blues" followed by a solo that has him swinging out of his shoes on "Blues And the Abstract Truth." After Ridl's sparkling solo on the title track, the leader takes the spotlight for a short but strong trumpet statement. In a perfect world, people will pick this album up and discover just how much good music Oliver Nelson brought to the world in his short but jam-packed career. John Vanore has done us all - casual listeners and reviewers - a really good turn. 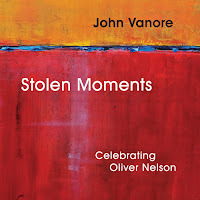 "Stolen Moments" should steal your heart, mind, and your ears! For more information, go to www.johnvanore.net. 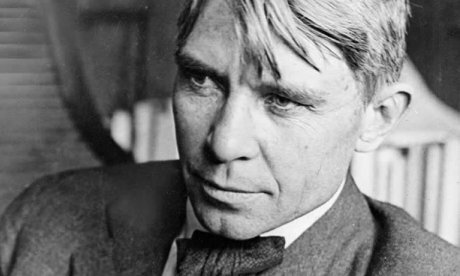 In the pantheon of great American poets, Carl Sandburg (1878-1967) has often gone in and out of favor (there are many folks who consider him a mere disciple of Walt Whitman) but there is little doubt that the Galesburg, Ohio native was an original. The son of Swedish immigrants, he had a number of jobs after college yet also published a three books of poetry before 1908. He married Lilian Steichen that year and began a career as a journalist. At the same time, Sandburg became a Socialist and the influence of that political movement can be seen in a number of his poems. In 1914, Poetry Magazine published a group of his poems which brought him to a wider audience which expanded greatly two years later with the publication of the "Chicago Poems." Before the end of the decade, he had published another collection of poems and a prose essay on the Chicago race riots. He became financially independent in 1926 when the first volume of his five-volume of Abraham Lincoln was published. 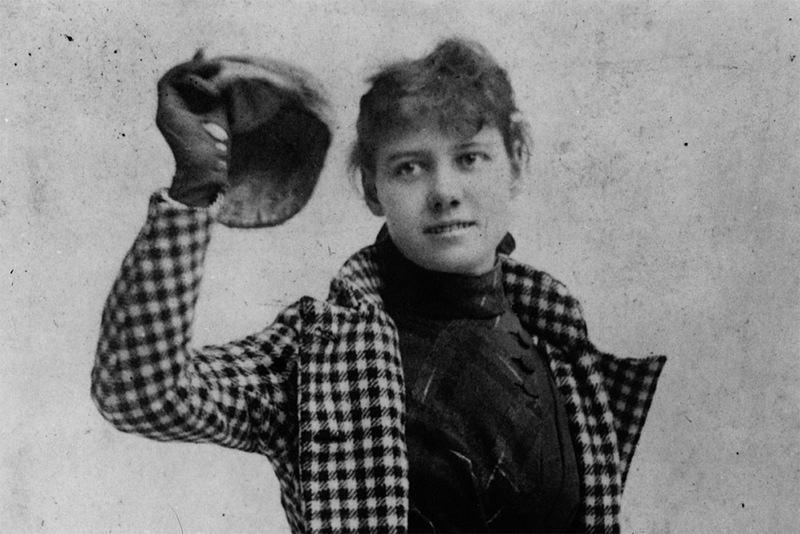 His collections of American folk songs was also a big hit with the public and helped to bring more attention to indigenous music. Sandburg won several Pulitzer Prizes during his lifetime, also played guitar accompanying himself at readings. He was truly a man of and for the "people." (Check out a group of his poems and read his full biography by going to carl-sandburg.com. Drummer and composer Matt Wilson has had a life-long interest in the work of Carl Sandburg. Born and raised in Knoxville, Ohio (the town to the west of Galesburg, the drummer's great-great aunt was married to the poet's first cousin - there is a picture in the album's booklet of Matt's father Tom with that cousin (Uncle Charlie). 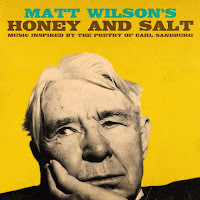 For those who have followed Matt Wilson's career know that his first album as a leader, "As Wave Follows Wave" (1996 on Palmetto Records) is named for a Sandburg poem. In 2001, he received a grant from Chamber Music America to create a program of original songs that featured selected works of Sandburg. 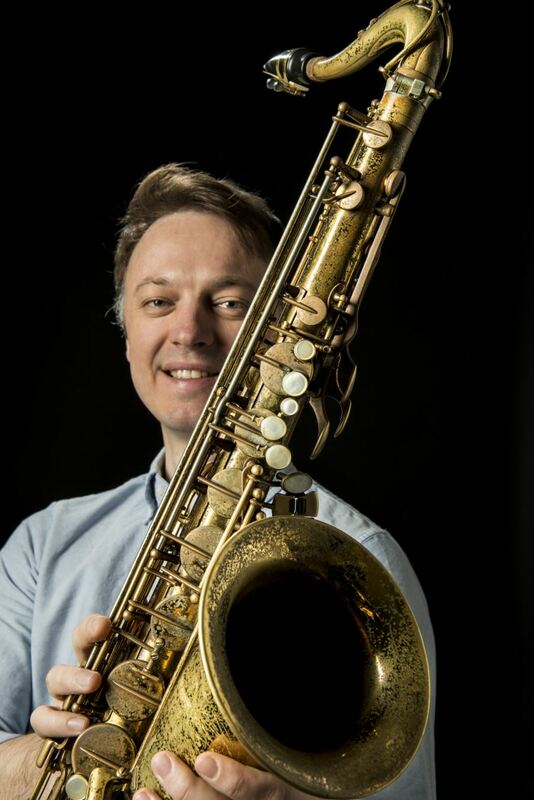 He put together a quartet with saxophonist and clarinetist Jeff Lederer, guitarist and vocalist Dawn Thomson, and acoustic bass guitarist Martin Wind. Cornetist Ron Miles joined the group along the way and in October of 2016, the ensemble, now dubbed Honey And Salt (yes, named for a 1962 collection of the poet's works), gathered at engineer Matt Balitsaris's studios on Maggie's Farm, and the results "Matt Wilson's Honey and Salt: Music Inspired by the Poetry of Carl Sandburg" is the drummer's ninth album for Palmetto. There is so much to like about this project. Purists may be put off by the fact that the music encompasses many different styles, from rockabilly to swing to folk to avant-garde to "cool jazz" and more. Before this project, I had not heard much of the work of Dawn Thomson so her presence is a revelation: she has a fine vocal style, displaying a fine range as well as great emotion plus her guitar is a wonderful voice in the mix, especially her rhythm work and background playing. 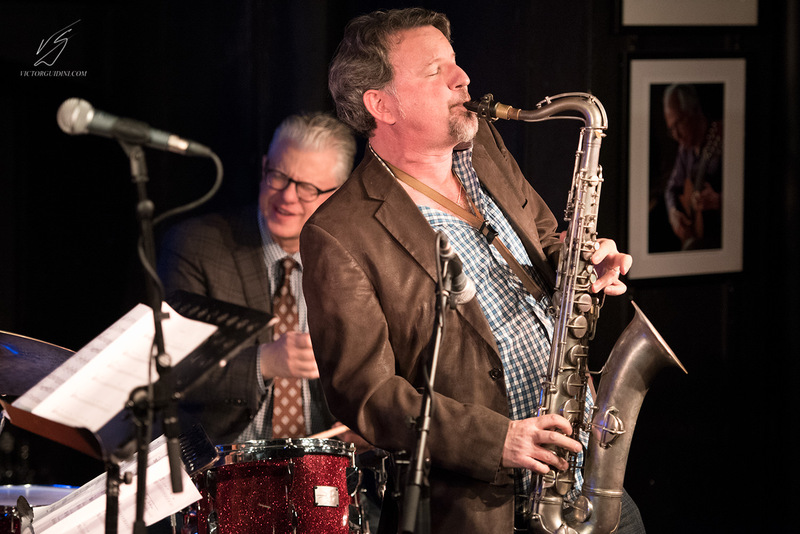 Jeff Lederer and Ron Miles are a formidable team, the former for his ability to both enliven the proceedings as well as be soothing in the background while the latter has such a warm sound, even his "wilder" excursions have a sense of comfort in them. Martin Wind plays exclusively acoustic bass guitar; it's the first time he's recorded using just that style of bass but the depth of his notes and his active foundational lines plus his counterpoint lines often stand out. Then there's the leader. It's so obvious that this project is a labor of love; these compositions are among the best Matt Wilson has composed in his career, illuminating his senses of melody, harmony, interaction, and, of course, fun. He creates a duet with the poet on "Fog" - the poet's voice is heard first, then the drums joins playing the voice patterns of Sandburg. The drummer plays a call-and-response pattern, first, the melody then the interpretation in a wonderful give-and-take. There are several other tracks on which the drummer plays the melody lines. The album is broken into three "Chapters" and an "Epilogue" with 18 tracks. 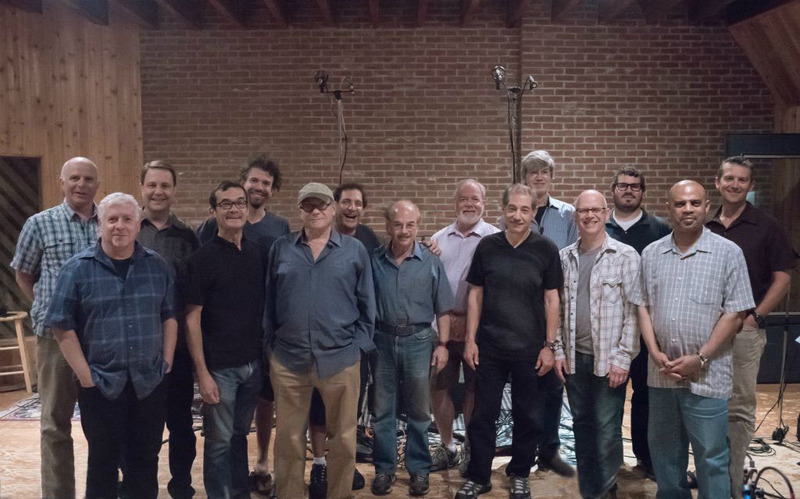 Besides Ms. Thomson's vocals and the poet's recorded voice, nine of the tracks feature recitations from the drummer, Jeff Lederer, Christian McBride, John Scofield, Jack Black, Bill Frisell, Rufus Reid, Joe Lovano, and Carla Bley. Frisell reads "Paper 2" which opens the poem read over a light guitar accompaniment before breaking into a raucous, bopping track, with solos from Lederer (a raucous tenor spotlight), Ms. Thomson (a "cool" jazz romp, and Miles (an easy jaunt over the "groovin'" rhythm section. In fact, do listen to how Wind and Wilson push the piece. The poem is repeated this time with the entire quintet offering counterpoint. Two tracks later, Lovano reads "Paper 1" over the same light guitar accompaniment but the piece fades on the recitation. 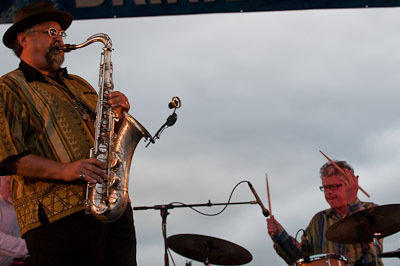 In between, Rufus Reid's sonorous bass voice reads "Trafficker", one of the darker poems in the program (about a worn-out prostitute) - the track opens with Wilson's quiet brushes work, then adds Miles's muted cornet, Wind's bass, and the "midnight blue" tenor sax. 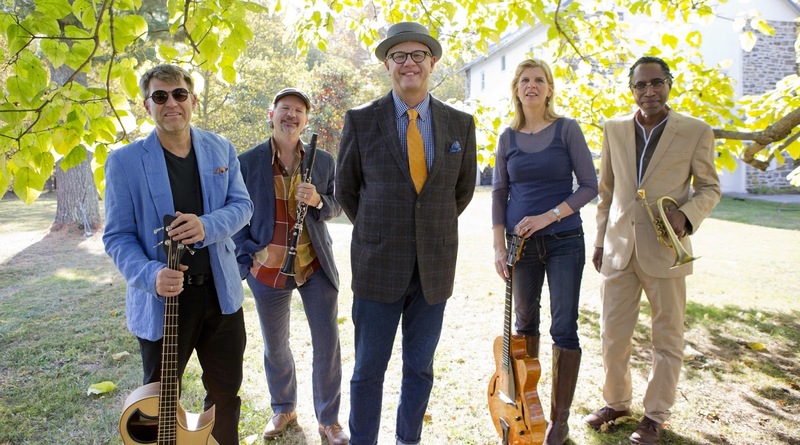 Your initial surprise to the different sounds this quintet makes (Lederer also plays clarinet, bass clarinet, piccolo, and harmonium) should turn into admiration and, finally, to joy. The beauty of pieces such as "To Know Silence Perfectly" (read by Ms. Bley), "Stars, Songs, and Faces", and "I Sang" (both sung by Ms. Thomson) may create quite a positive emotional response. 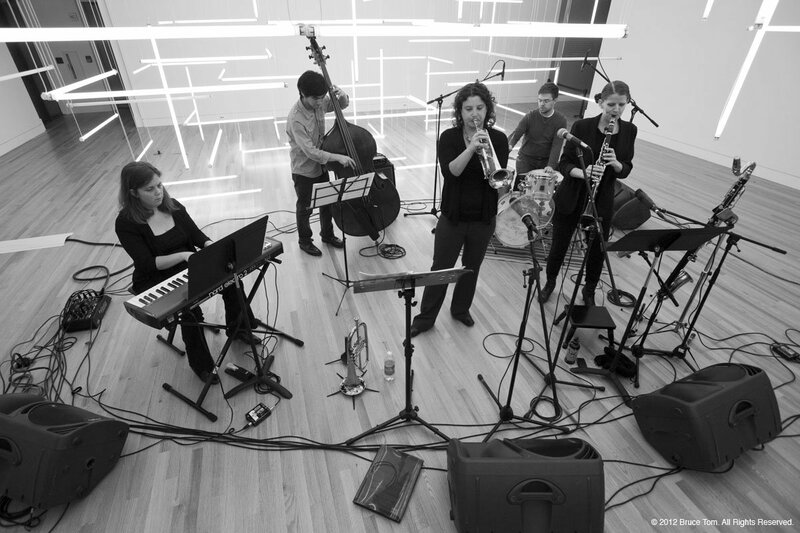 Check out the fiery funk of "Anywhere and Everywhere People" read by McBride as the quintet "rocks out" and the power march of "Choose" (Lederer's piccolo takes a starring role) with its Charles Ives-like leanings will make you smile. 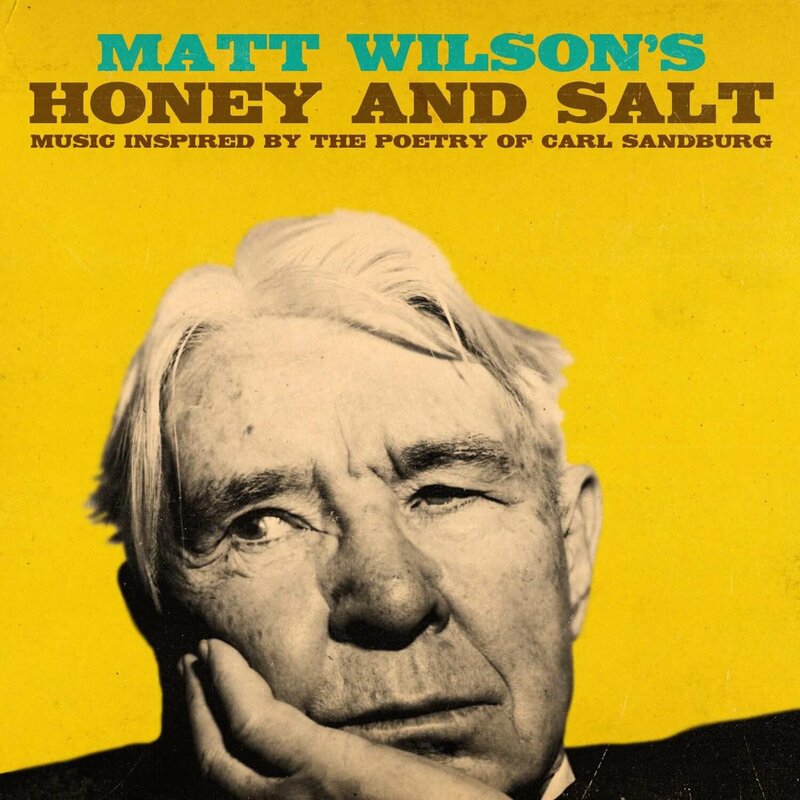 "Matt Wilson's Honey and Salt: Music Inspired by the Poetry of Carl Sandburg" is a smashing achievement. Wonderfully musical, deeply emotional, and so much fun - what more could one want from an artist? Take it on the road and expose more people to the "populist" poetry, the fascinating melodies, and great band that Matt Wilson has put together in this heartfelt project. Listen, listen deeply! For more information about the project and the upcoming September 2017 tour dates, go to www.mattwilsonjazz.com. Soprano saxophonist and composer Jane Ira Bloom released "Early Americans" in 2016, a trio date with bassist Mark Helias and drummer Bobby Previte, both of whom she had recorded with extensively. 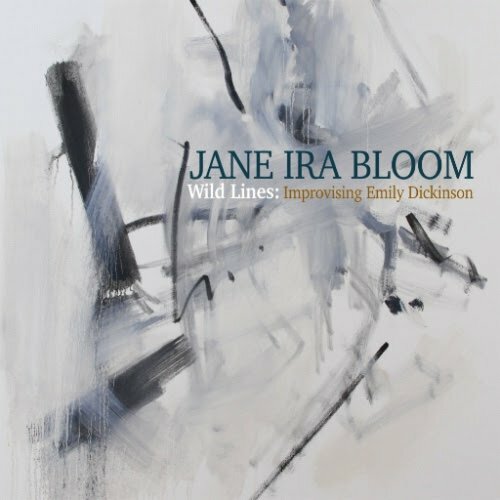 Her new project, "Wild Lines: Improvising Emily Dickinson" (Outline), brings back pianist Dawn Clements who recorded with this ensemble on 2011's "Wingwalker" (the pianist is also featured on Ms. Bloom's 2008 album "Mental Weather" with Helias and drummer Matt Wilson!) Ms. Bloom's latest adventure came about when she discovered that Emily Dickinson (1830-1886) was a pianist and an improviser, a quality the composer could see in the poetry. After receiving a commission from Chamber Music America/Doris Duke New Jazz Works, Ms. Bloom put together the program that one hears on these two CDs. There are 14 original compositions plus a solo soprano saxophone reading of the Rodgers & Hart classic, "It's Easy To Remember." One might be tempted to start with CD 2 because you hear the lines of Ms. Dickinson's that prompted the compositions. Read by actress Deborah Rush (Broadway and television), most of the pieces are read before the pieces (there are several exceptions). But you really can hear how pieces like "Emily & Her Atoms" and "One Note from One Bird" (excerpt from "The Gorgeous Nothings") are built from the poems and poem fragments. The latter tune does open with one note from the piano before Ms. Rush intones "One note from/ One Bird/ is better than/ a million words/...A scabbard/ Needs/ has - holds/ but one/ sword" - listen to how the quartet expands that one note and those words outward away from its simple center into a musical meadowland with a sweeping melody and roiling drums. Then there's "Singing The Triangle" during which a letter that the poet wrote that tells of her excitement that "G.F. Bailey's & Co. Great Triple Combination/ will exhibit in Amherst!/ On Friday, May 4th, 1866" - the music is a rollicking illustration of excitement, derring-do, and exuberance (one can almost hear the crowd "oohing and aahing" at the high-wire acts. The listener may have expected the music to be fairly somber as befits certain opinions of Ms. Dickinson's poems. Yet, throughout the album, the music bubbles over with glee. "Cornets of Paradise" opens with powerful drums behind Ms. Rush (pictured left) reciting "Over and over, like a Tune/ The Recollection Plays/ Drums off the Phantom Battlements/ Cornets of Paradise/" - the drums drop out and there soprano sax enters wailing high - Ms. Rush continues with "Snatches, from Baptized Generations/ Cadences too grand/ But for the Justified Processions/ At the Lord's Right Hand." There 's a quick snippet of gospel and then the quartet goes into an inspired improvisation before moving back right before the close to a modified barrelhouse blues. CD 1 features the same instrumental tracks in a different order (save for the final two track on both discs being the exuberant "Big Bill" and the Rodgers & Hart tune). The music is just as exciting without the poetry but this listener really enjoys how Ms. Bloom integrates the lyricism of the poetry with the often flowing lines of the quartet. "Say More", on disc 1, opens with a lovely soprano melodic fragment with Previte's quiet percussion, the occasional bass melody, and Ms. Clement's lyrical piano. The piece moves slowly forward and up away from the opening line. Add Ms. Rush's vocal performance and the lyrics to the music, the piece opens up to new interpretations. "Wild Lines" is a magnificent recording, filled with intelligent and open melodies, inspired interactions, and a collective love of exploration. 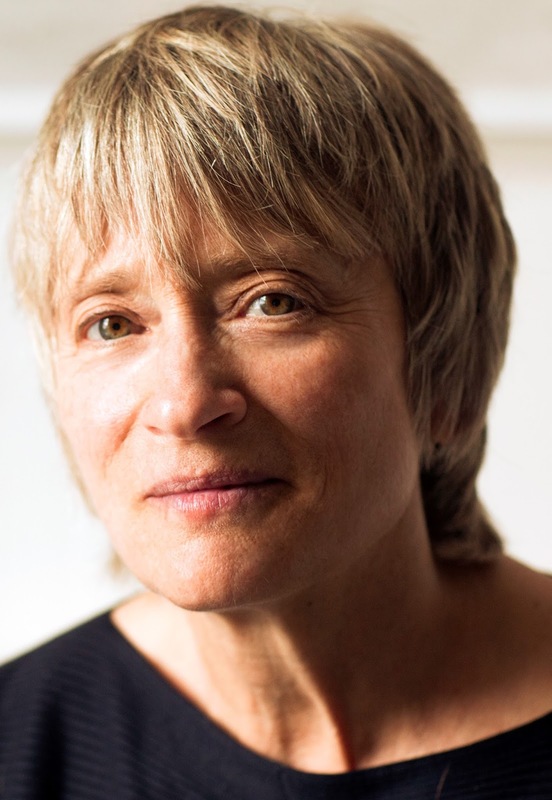 One should not discount how well the Quartet works together, the powerful and graceful contributions of Mark Helias and Bobby Previte, the excellent piano playing of Dawn Clement, and, of course, the wonder-filled work of Jane Ira Bloom. The artist could have chosen to release either one of these discs as her new album, they're both delightful on their own. Together, "Wild Lines" gives the listener an intimate description of the creative process, how the sounds and meanings of words can be translated to the sounds of music, that the creative process can truly be an infinity of riches. This is a joyful experience for the musicians and for the audience. For more information, go to www.janeirabloom.com. Release date for the album is September 8, 2017 and is available for pre-order at amazon.com. 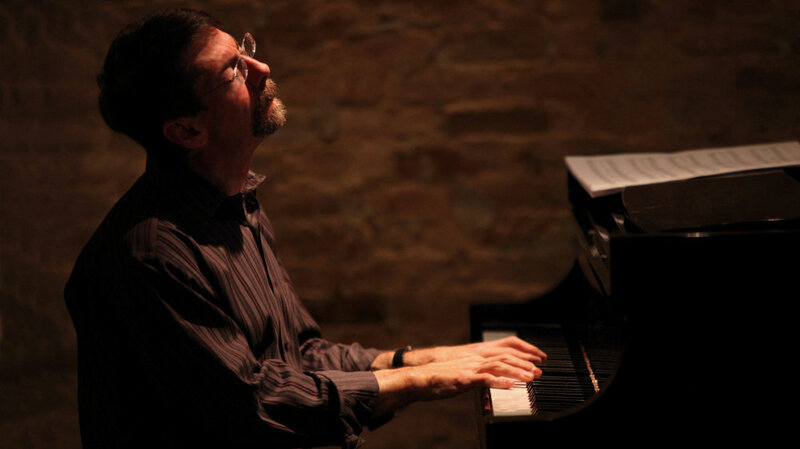 Fred Hersch is now in his fifth decade as a performing artist and composer - the last ten years have seen the most upheaval and revival. 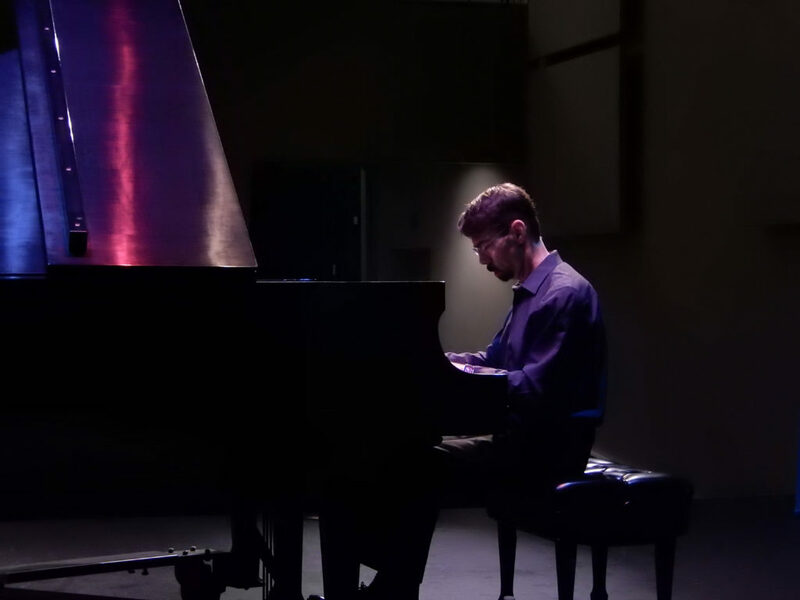 In 2008, the pianist was struck by a AIDS-related illness and was put into a coma by his doctors; when he came out, Hersch needed to learn how to navigate the piano again. The result has seen him at his most productive, with solo albums, trio albums, a full-length production based on his near-death experiences titled "My Coma Dreams", and his forthcoming memoir "Good Things Happen Slowly: A Life In and Out of Jazz" (coming in September from Crown Archetype). 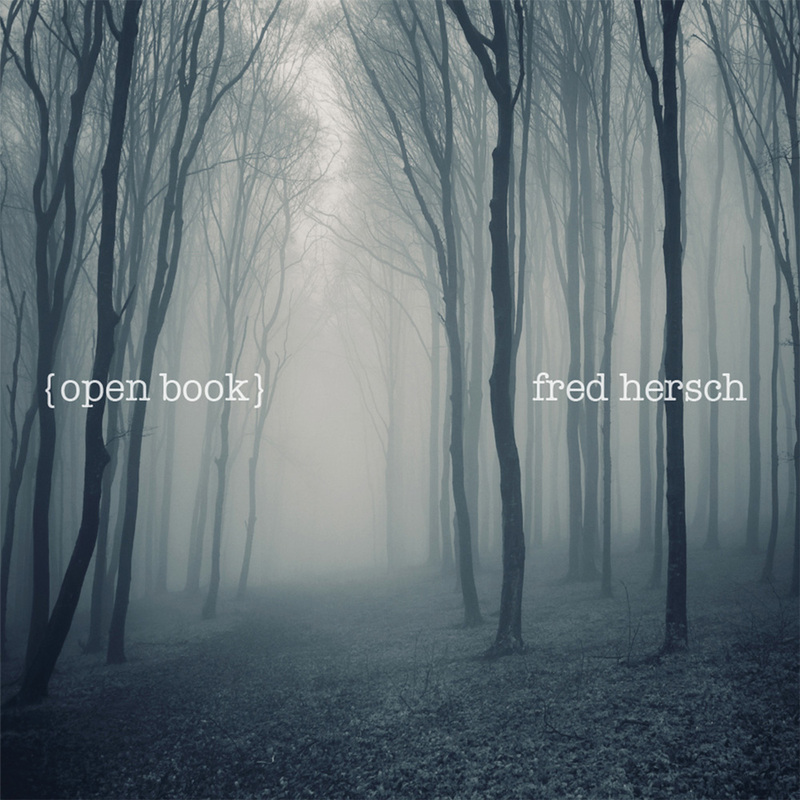 Also in September, Palmetto Records releases "Open Book", Hersch's 11th solo piano recording (and 12th recording for the label). 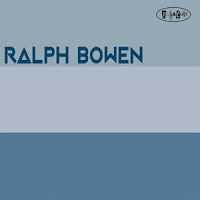 Recorded live in concert in Seoul, South Korean (four separate nights), the album is both typical and typical of the pianist's output. Yes, there's a Thelonious Monk composition ("Eronel"), a piece by Antonio Carlos Jobim ("Zinger"), Benny Golson ("Whisper Not"), Billy Joel ("And So It Goes") plus three original pieces. One of those originals, "Through The Forest", is a fascinating 19:34 totally improvised piece; it's the centerpiece of the album and one of those performances that defies categorization. There is a darkness to the chords and a narrative quality to the melodies that shows a classical influence (perhaps Schumann, Debussy, Stravinsky, Gershwin) but what stands out most are the leaps from mood to mood the pianist takes. No surprise there is a forest on the album cover. The music is not dense, you can see through the fog and the trees are bare but the path forward can be detected. There is a freedom to being lost which can be scary but also pushes you to sharpen your senses, to call on different solutions to see your way through. Hersch follows the long piece with the much shorter yet equally dramatic "Plainsong", also a piece with classical leanings (though more Romantic). This is "classic" Hersch, a long, well-constructed melody with powerful harmonies and a rolling bass line. "Open Book" shows an artist at the height of his creative power without a sign of slacking off. It's one one of those albums that sounds good any time of day, scuba as early in the morning with the birds outside your window or late at night as you relax after a long day. No matter when you listen, this is a quite a good "book." 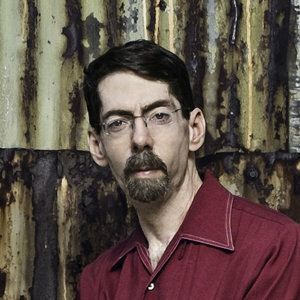 Fred Hersch is so busy right now with tours, teaching, and more; not only will the book and album come out in September but his "Leaves of Grass" project will be performed at Jazz at Lincoln Center (in the Appel Room) on September 15 and 16. For information, go to fredhersch.com. 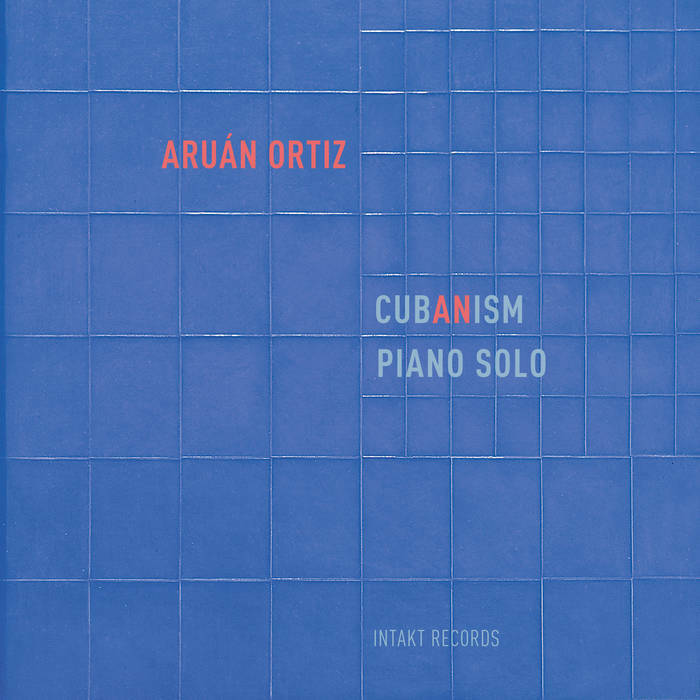 Cuban-born pianist Aruán Ortiz has become a major presence on the creative music scene over the past decade. 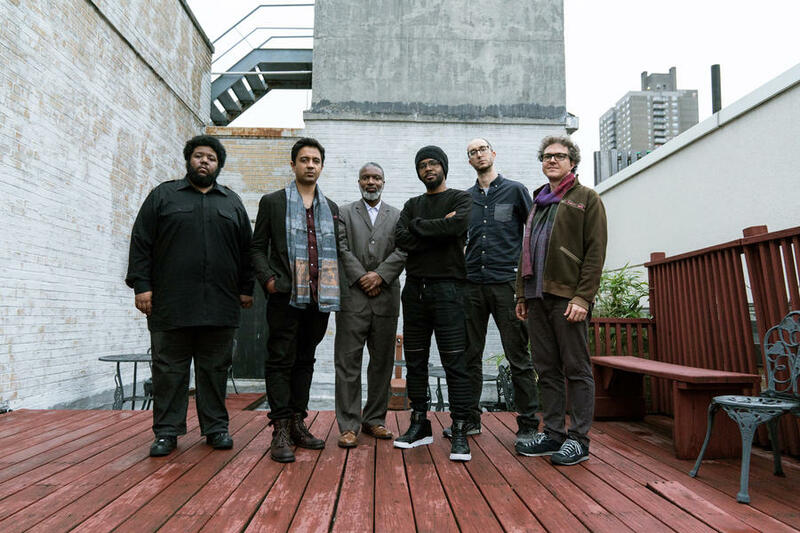 Not only has he toured with his own quartet and trio but he also graced the stage with artists such as Esperanza Spalding, Teri Lyne Carrington, and Greg Osby while recording with Wallace Roney, Steve Turre, Michaël Attias, and Nasheet Waits. One is tempted to call his latest release, "Cub(an)ism" (Intakt Records) a "rite of passage". Solo piano recordings often bring to light an artist's influences, his upbringing and vision mashed into 10 songs, an hour's worth of explorations. 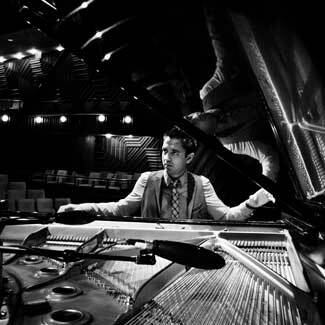 It's been twenty years since Ortiz's previous solo album (unavailable in the U.S.) but, in those two decades, the experiences the pianist and composer has had through his studies and interactions gives this music its depth and scope. Being Cuban, having been schooled in that country and then in Spain, Ortiz has a wonderful grounding in both classical (European and the Americas) as well as modern music. Simply translated, he understands the power and flow of melody as well as how to create commanding rhythms. Start at the beginning with "Louverture Op. 1 (Chateau De Joux)" - the left hand captures our attention with its insistence. After a quick stop, the pianist rolls into a lengthy melody line built upon the percussive power of the opening. The music tumbles forward; the music moves in and out of time yet the spell has been cast. After you listen several times, you realize that while Ortiz is a generous player, these pieces are not filler, not technical exercises. Take the aptly-titled "Dominant Force". 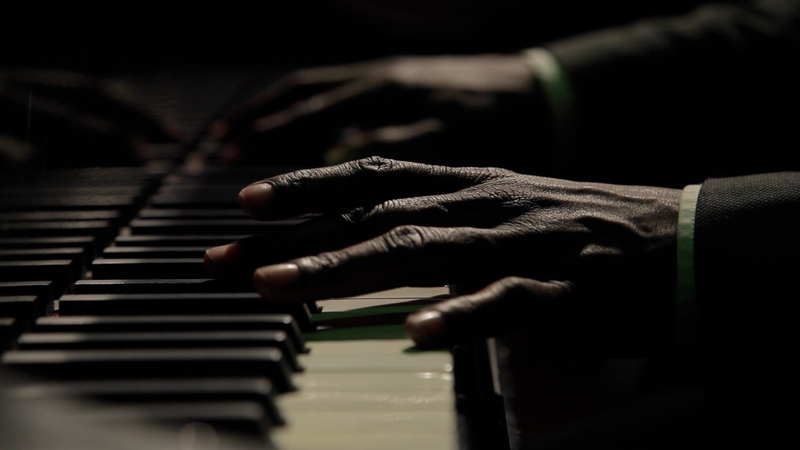 The tension created by the powerful left-hand rhythm is heightened by the angular, percussive, melody. Soon, the listener is swept up in the proceedings ready to dance out of the room. All this magic in 2:32. "Sacred Chronology" has similar intensity, built off the crashing chords that come out of the speakers in jagged time. 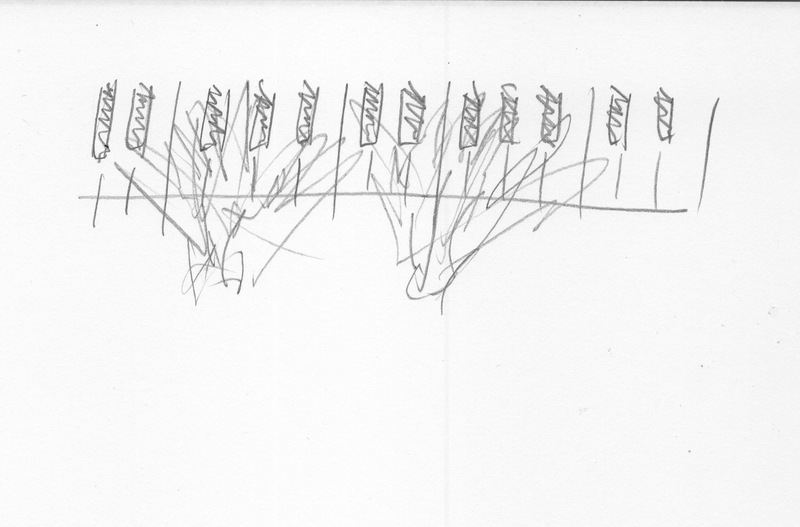 There is not so much melody as there is rhythmic interaction, the right hand adding exclamation points as the left varies the tempo, seemingly a mixture of Messiaen and Gershwin. The dynamism of "Monochrome (Yubá), created by the plunking two-note bass notes (the low strings sounds as if they have something on them to flatten the sound), the solemn beauty of "Coralaia" (the gentle, emotionally rich ballad that closes the album), the expansive adventure that is "Cuban Cubism" (with its harsh opening chords giving way to low bass rumbles then rising to high notes floating like light rain), all serve to show a fully engaged artist. Not satisfied with the tried-and-true but always pushing forward, creating a narrative of creative curiosity. Listener, leave your expectations at the door, take part in the adventure, and you will return to this music ready to dig deeper. "Cub(an)ism" is a high point in the career of Aruán Ortiz; one expects many, many more such triumphs. 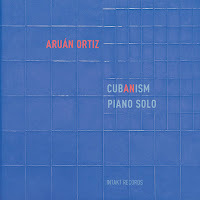 For more information, go to www.aruan-ortiz.com. Just last week, I wrote about Rufus Records and my earlier writing/listening experiences with musicians on the Australian label. 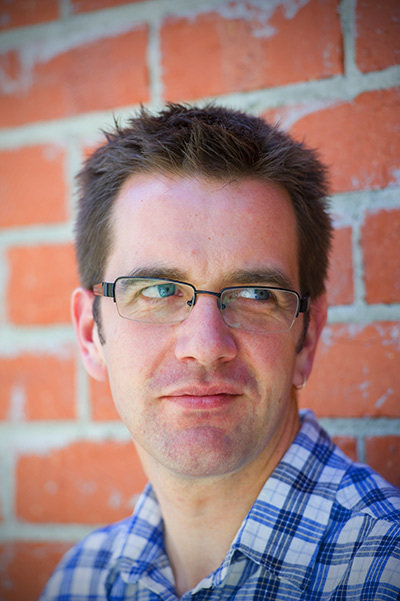 One of those musicians is pianist and composer Tim Stevens (pictured). Born 200 miles north of Melbourne, the pianist moved there when he was four years and lives there still (save for a few years in Sydney). His interactions with the piano began at age eight and, while he studied Music Performance/Improvisation in college, he earned a Graduate Degree in Education, then a Master's Degree from the School of Music at the Victorian College of the Arts (and later, a Ph. D in Philosophy). 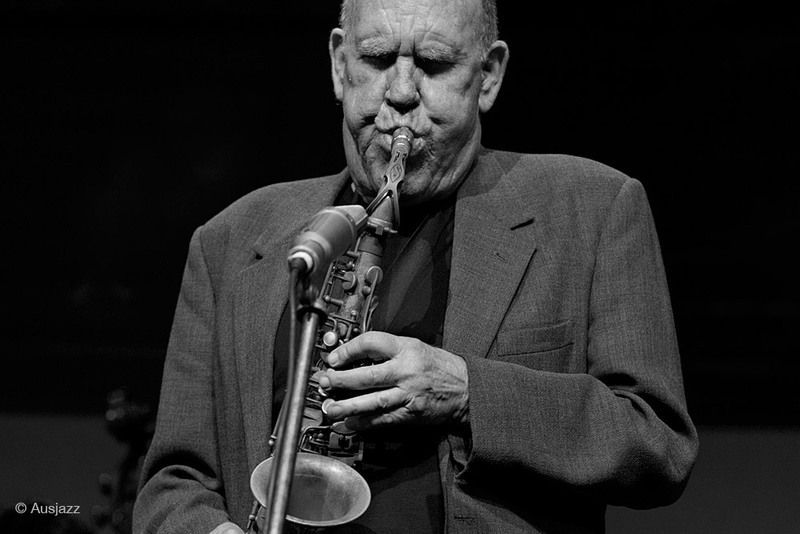 In 1994, he formed a trio with bassist Nick Haywood and drummer Allan Browne, recording two albums blending original material with jazz standards. In 2000, Stevens moved to Sydney where he formed a Trio with Mark Lau (bass) and Simon Barker (drums). 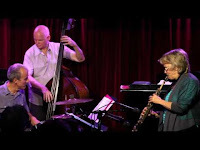 Upon his return to Melbourne in 2002, he created his current trio of bassist Ben Robertson and drummer Dave Beck, an ensemble that has released four albums on Rufus. Stevens has also issued four solo piano recordings for Rufus, beginning in 2002 with the introspective yet playful "Freehand." In May of this year, the label issued "Media Vita", an album of 12 pieces all composed in 2016, a leap year in which the composer challenged himself to write a new work every day. What should one expect from a project such as this? Honesty, for one. Exercises such as these expose the creative person in different ways. If he or she is up to the challenge, the realization that every day is different, that we as people are different, that this kind of "play"is also work. The intertwine of work and play is, for this writer, what makes this album so enjoyable. Composer Stevens gives us 12 stories from 12 different days in his year as a musician, teacher, parent, citizen, etc. and, in a way, asks us if we can see ourselves in the music. Yes, you will hear different influences, from blues to classical to liturgical works to Australian folk tunes. You will hear a technically impressive pianist who understands that one cannot substitute technique for emotion (sadness weighs heavily on a piece such as "The Wrong Door" while the previous track, "Wrested", flows with power with a sense of purpose). There are two cuts that share the albums title, with "I" having a wistful quality and a melody that cries out for lyrics while "II", which closes the album, has a lighter feel, a sense of promise and bright days and clear nights. In other words, hope. Sure, this album is personal, the best music always is. I have listened to this recording every day since it arrived a week ago and there is still more to discover, uncover, and enjoy! For more information, go to www.timstevens.com.au. 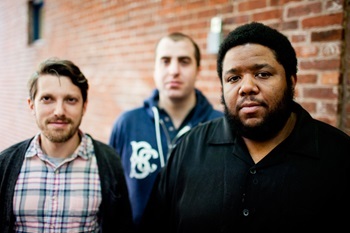 Much has been written about composer and multi-instrumentalist Tyshawn Sorey over the past year and for good reason. 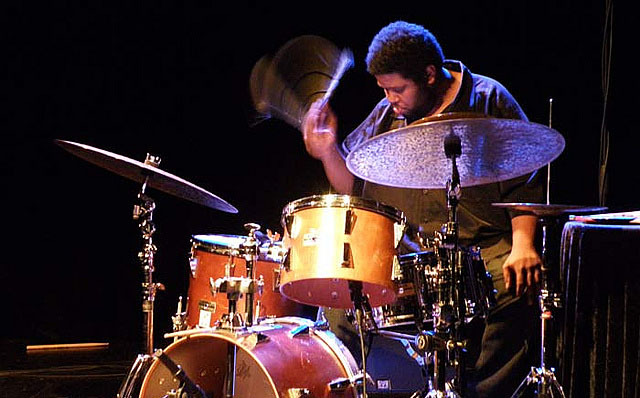 He is a musical polyglot, seemingly without borders (other than time and his music often challenges our perception of time), and he can drive a band from his position behind the drums in the manner of Max Roach, QuestLove, and Eric Harland. When he was studying for his Masters Degree at Wesleyan University, Sorey also was a member of the University's Klezmer ensemble, playing keyboards and mighty impressive gut-bucket trombone. He used his time at the school to study with Anthony Braxton, Alvin Lucier, and Ron Kuivila as well as play with various ensembles. 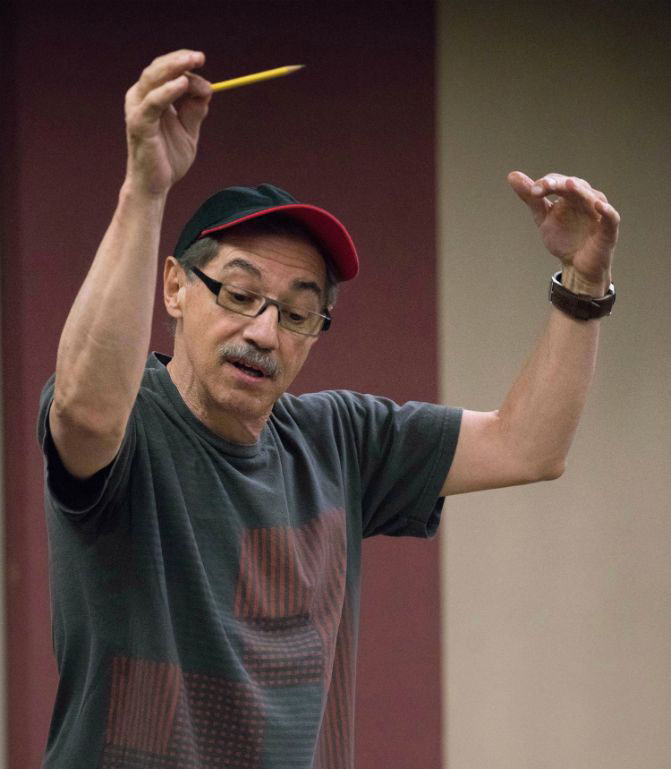 Earlier this year, he earned his DMA in composition from Columbia University and, at the end of this month (8/17), becomes the John Spencer Camp Professor of Music at Wesleyan. And, he has a new recording. 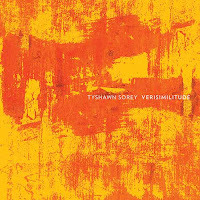 "Verisimilitude" is his sixth album as a leader and fourth for Pi Recordings. The program features his longtime "working trio" of Corey Smythe (piano, toy piano, electronics) and Chris Tordini (bass) playing its way through five Sorey originals, only one of which is under 10 minutes. 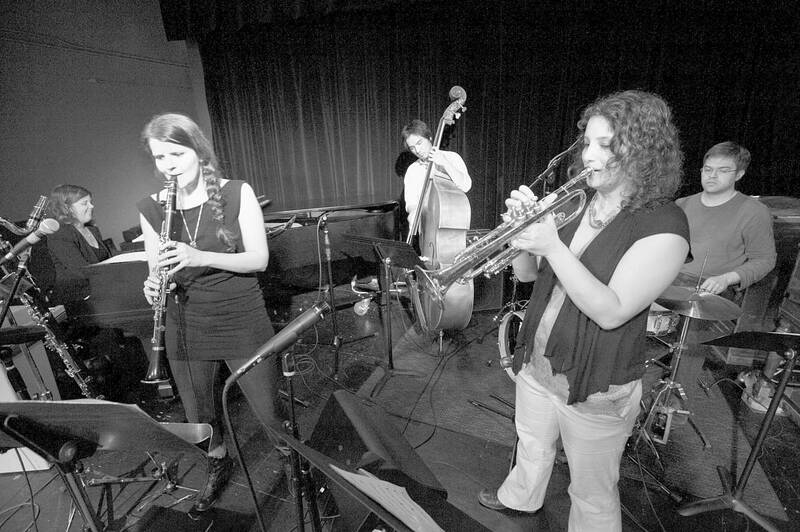 These pieces cha;lunge the listener to hear a trio in different aspects, to understand that the role of each musician is not to impress with technique or speed but to advance the narrative of the music. The impressionistic quality of the music and the overwhelming softness can lull the listener. Yet, there are moments of power, both melodic and percussive, as if great gust of wind came through the window. I am not going to give you an account of each track; instead, you should approach this music with open ears. Be prepared to play the 69-minute program several times all the way through. This is not background music to be played with guests in the house or while eating dinner. It is music to ponder, to explore, to note how the "traditional" trio approach seems to be eschewed in favor of a group dynamic. Pay close attention to the work of bassist Tordini. He often drops out but is so important to the sound of these pieces. He can be percussive, melodic, supportive, foundational, and minimalist yet is a necessary element of the songs. The elegiac quality of "Flowers for Prashant", a musical tribute to the late filmmaker Prashant Bhargava, is a wonderful place to enter the music yet, since the songs all flow into one another, you should start at the beginning. Have patience with this music - so many of us listen to music to be constantly stimulated, go from high to high, but "Verisimilitude" asks you to slow down, to appreciate every sound, to engage the silence between notes, to stop judging and just listen. This music is not for everyone and for every minute of the day. It is contemplative and powerful. Be open and you'll be rewarded and more so, refreshed. To find out more, go to pirecordings.com/artist/Tyshawn_Sorey. Here's a link to a recent NYTimes article by Giovanni Russonello that will give you even more historical perspective - click here. In January of 2015, I was quite impressed by saxophonist and composer Paul Jones's debut album, "Short History" (read review here). I especially was impressed by his compositional and arranging skills. All that and more is on display on his sophomore effort, "Clean" (Inside Out Music). 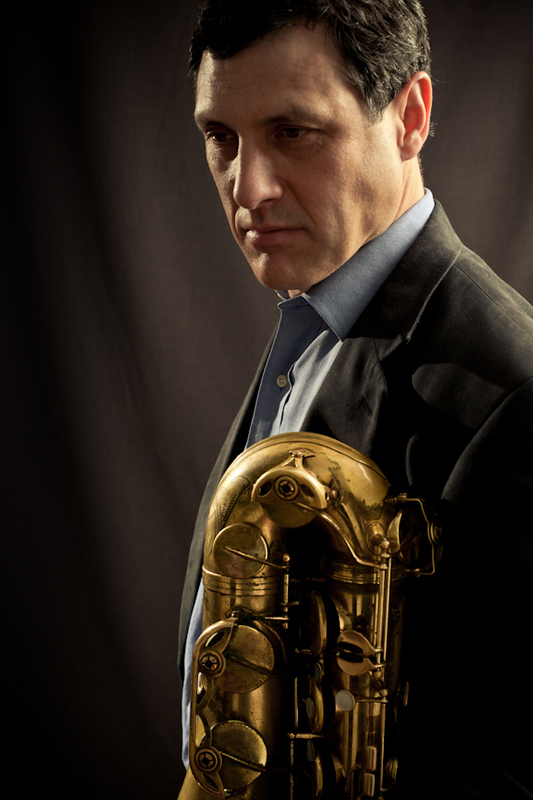 With the exception of pianist Glenn Zaleski, he employs the same sextet (alto saxophonist Alex LoRe, guitarist Matt Davis, bassist Johannes Felscher, and drummer Jimmy Macbride) but also adds the SNAP Saxophone Quartet (Nicholas Biello, Andrew Gould, Sam Dillon, and Jay Rattan), the Righteous Girls (flutist Gina Izzo and pianist Erika Dohi) plus Mark Dover (clarinet), Ellen Hindson (oboe), Nanci Belmont (bassoon), and Susan Mandel (cello) on numerous tracks. 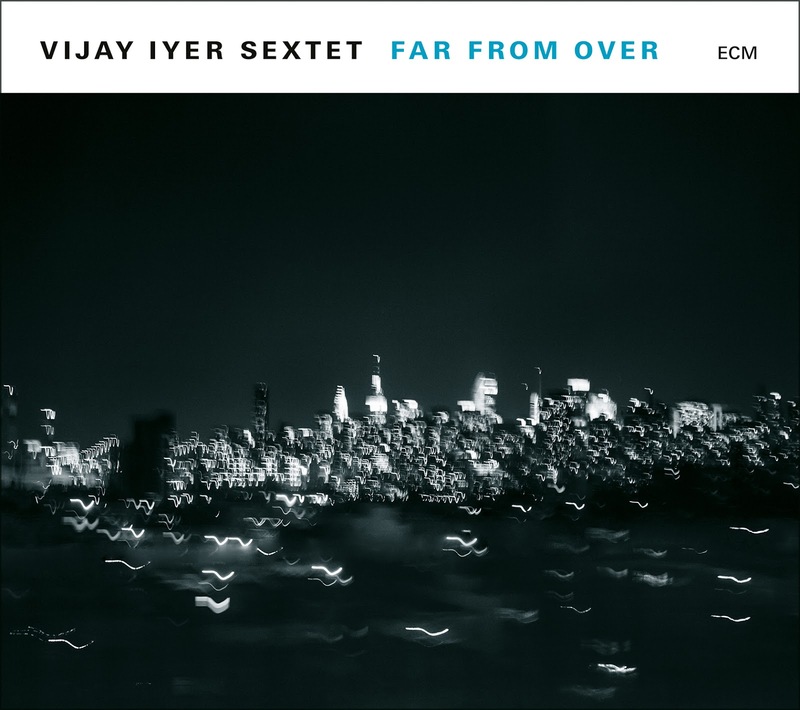 The sextet (and sextet plus) music is also quite fascinating. With four melodic instruments on a front line, it's fun to hear how the composer Jones shares melody and harmony lines. 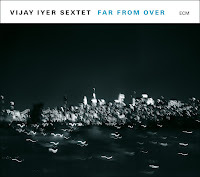 The title track rolls in on short figures from the saxophones with the melody played by guitarist Davis, counterpoint from the piano and then switched over to the tenor. Listen to how Jones plays with the rhythms below the theme before the solos begin over a static rhythm. Macbride drives beneath the solo while the insistent guitar strumming holds the tempo. At 8:46, the songs allows for various sections and solos, making it easy for the listener to fall under its spell. The jaunty melody of "I Am an American", introduced by bass and piano, creates an easygoing feel. Bassist Felscher gets the first solo, o long and melodic solo, before Jones steps in. 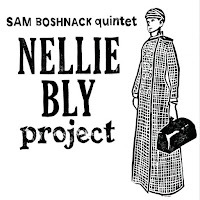 Ms. Belmont and Ms. Mandel join the sextet for "Buckley Vs. Vidal", a lengthy conversation (but not a debate) with a bounce to its beat and colors provided by the guest "voices". The guests enliven "Centre In The Woods", a handsome melody played over a tango rhythm. One can visualize dancers whirling around the floor as the saxophone solo rises over the slowly intensifying background. As artists take control of their music (or are given free rein by labels), listeners are being blessed by a panoply of engaging projects. "Clean" is one of those albums that grows stronger each time you dig into it. You notice interactions, the fine melodies, the smart arrangements both for the sextet and for the wind octet, and solos that have arrives and are not just technical displays. If you dig around online, you'll find alternate versions of some of the pieces on the album. Check those out too. 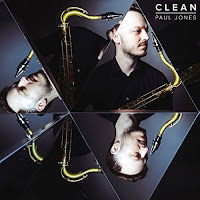 In his liner notes, Paul Jones writes that while working on the material for this album, he was listening to Kendrick Lamar ("To Pimp a Butterfly"), Philip Glass ("Glassworks"), and Steve Reich ("Music for 18 Musicians") as well as the immediacy of contemporary hip hop. Check this out, spend time inside the songs, and you should be pleased. To find more, go to www.paulthejones.com. Laying around doing nothing has always been an Achille's Heel for me. When I wake up, my mind is engaged, either thinking about what I need to do today, what I should have done yesterday, what music I want to listen to, reviews I need to finish, or, the one that really makes me alert, how the cat needs to be fed before she shreds the love-seat. There is usually nothing logical about this process (save for wanting throw a shoe at the cat) - basically, I "go with the (mental) flow." 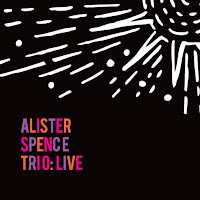 The other morning as I was scrolling through the jazz selections on bandcamp.com, I came across an album by the Alister Spence Trio, an ensemble based in Australia that recorded on the Rufus Records label. I had been introduced to the Trio and the record label when I wrote for Bob Rusch's CADENCE Magazine in the 1990s, discovering music from halfway around the world that resonated with a person living in CT. Mr. Rusch sent me music created by saxophonist Bernie McGann (pictured above), by Ten Part Invention (a little big band led by drummer John Pochée), by pianist Tim Stevens, and others. I began an email correspondence with label president Tim Dunn - we chatted about all sorts of things but I was most impressed by Mr Dunn's dedication to original music created by Australian musicians. Like CrissCross Records and Gerry Teekens, François Zalacain at Sunnyside Records, Marc Free and Nick O'Toole at Posi-Tone Records, Manfred Eicher and ECM, Tim Dunn knows what he likes to hear and works hard to spread the word and the sounds. After I stopped writing for CADENCE and about music for a while, Mr. Dunn and I lost touch. 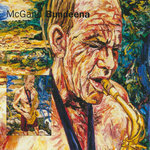 After I discovered that bandcamp.com had the Spence Trio recording, I typed in the name "Bernie McGann" and was pleased to see that the alto saxophonist (who passed in 2013 at the age of 76) had a number of live recordings released several years ago. On Friday, the day that Bandcamp decided to donate its share of profits from sales to the Transgender Law Center, an organization based in Oakland, CA, whose mission is "to change law, policy, and attitudes so that all people can live safely, authentically, and free from discrimination regardless of their gender identity or expression." Bandcamp's 24-hour sale netted, approximately, $700,000 for the Law Center. 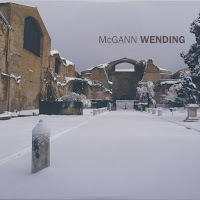 Yes, this reviewer purchased "Wending" by Bernie McGann (90 minutes of live recordings from 2005 and 2012). 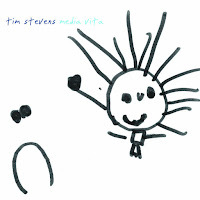 I also rediscovered Stevens - I already had in my possession two of his earlier recordings, a splendid Trio CD and a wonderful, exploratory, solo piano album from 2002 titled "Freehand." His latest recording, "Media Vita", is his fourth solo endeavor and features 12 pieces composed during 2016 when the Melbourne-based musician wrote a new song every day. I purchased that album as well and will review it at a later date (the pile of CDs waiting to reviewed is awfully high - no complaints, just reporting the facts) so it will be a few weeks. On first listen, I am pleased by the attractive melodies and how they flow. No question that Stevens is a technically impressive piano but this music has much more emotion than technique - in fact, the composer writes that "there is no free improvisation." One of my favorite McGann recordings is "Bundeena", an album which features one of my Top 100 songs (really, who can narrow a list down to 10 after listening to music for over 60 years), a song titled "Big Moon" composed by bassist Lloyd Swanton (from The Necks). 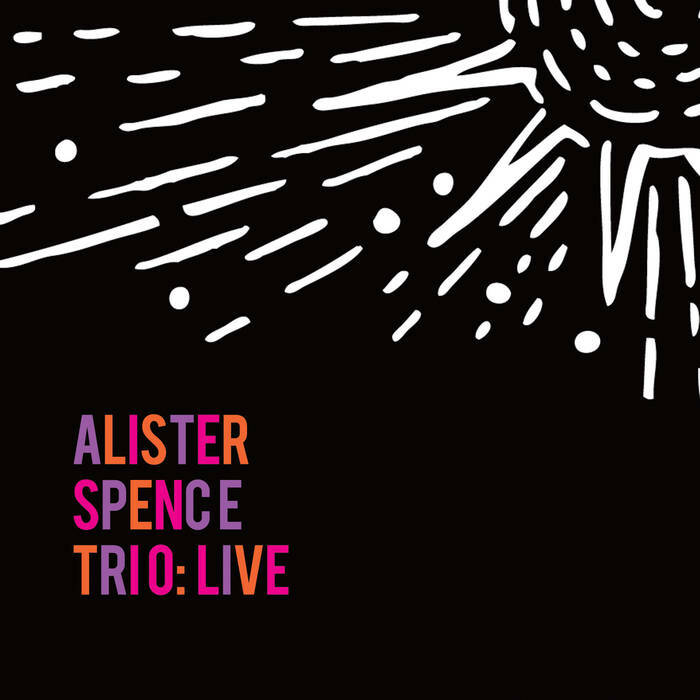 Named for the town in which McGann lived, located on the southern outskirts of Sydney along the bay from which the town takes its name, the trio recording blends a myriad of influences (Sonny Rollins, Ornette Coleman, Lester Young, etc) to create a delightful 52-minute experience. 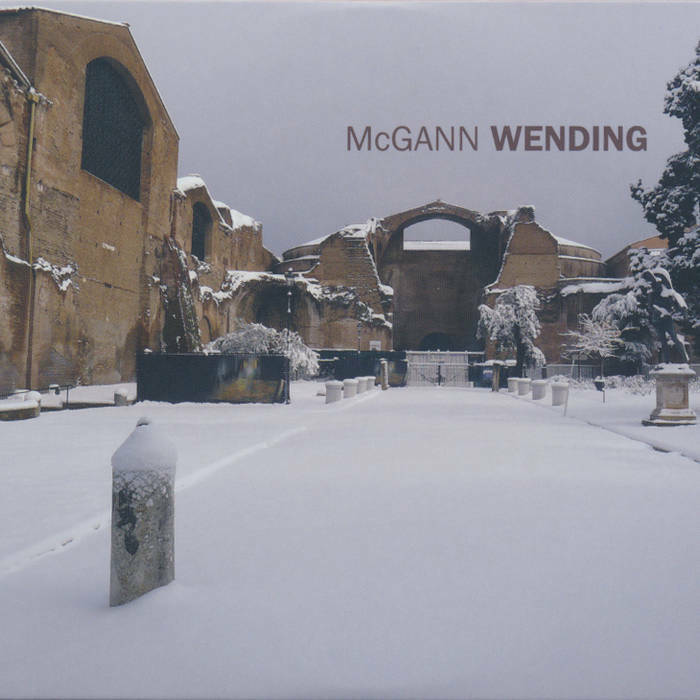 McGann was an adventurous player, not adhering to one genre at any time, and his rhythm section - bassist Swanton and drummer Pochée - keep right up, pushing, prodding, driving, and smoothing the way. Find out more about the record label by going to www.rufusrecords.com.au. To find out more about pianist and composer Tim Stevens, go to timstevens.com.au.